The Largest Fashion Brand in Middle East & one of the biggest in the world started journey in Bangladesh as Splash Fashion Bangladesh. Everything under one roof from basic to party wear. From formals to casuals to sports wear and accessories. Complete 360 degree solution under one roof. Splash offers environment friendly clothing. The first showroom was inaugurated at Shop-1 B23-25 North court, first floor of Jamuna Future Park in Dhaka on Thursday, 11th April 2019. First store of Splash Fashion Bangladesh showroom is approximately 7,500 sqft. 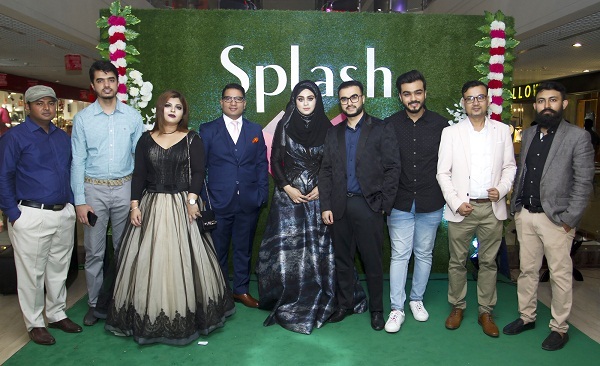 Nabil Sultan, CEO of Splash Fashion Bangladesh, Vinay Parkash, Head Of Business-International & Bossini (Landmark Group), Model Ruma, Model limi, Model Akhi, Designer Shahrukh Amin Tingku, Choreographer Emu Hasmi, Youtuber Shamim hasan sarkar, Raba Khan and many others were present at the soft launching. Splash Fashion Bangladesh CEO Nabil Sultan said “Splash Clothing are very trendy, super comfortable and fitting is just awesome with amazing fabrics. Most unique concept unlike other stores is that many best world renowned and leading brands are officially offered in Splash and will be available in Splash Bangladesh too which is normally offered in only Selected Stores of Splash worldwide! Like Being Human of Salman Khan, CR7 of Cristiano Ronaldo, Kappa from Italy, Bossini from Hong Kong, ICONIC with brand ambassadors like Varun Dhawan, Esha Gupta & many more. Am really delighted to be able to get the special approval for these brands after all the hard work to offer all the Beautiful Bangladeshi people under Splash Fashions Bangladesh.